SKU: 073950278195. 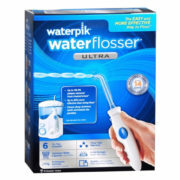 Categories: All Electric Toothbrushes, WaterPik Irrigators. A must have for any health-conscious home that is interested in receiving the outstanding benefit of a dental jet. It’s time to improve your gum health twice as much as brushing and flossing alone – everyone we talked to was “pleasantly surprised” Now it’s your turn. It’s Effective – when it comes to improving oral health, we sensibly suggest effective products. You will find that this is one of the most effective jets (if not “THE” most effective) available today. It’s Customizable – everyone is different and these apparent differences make a one-size-fits-all jet difficult to create. That’s why the Ultra Dental Water Jet comes with a total of 8 tips. The 4 different kinds are (3) standard jet tips, (3) tongue cleaners, a pik pocket Tip, and an Orthodontic Tip. 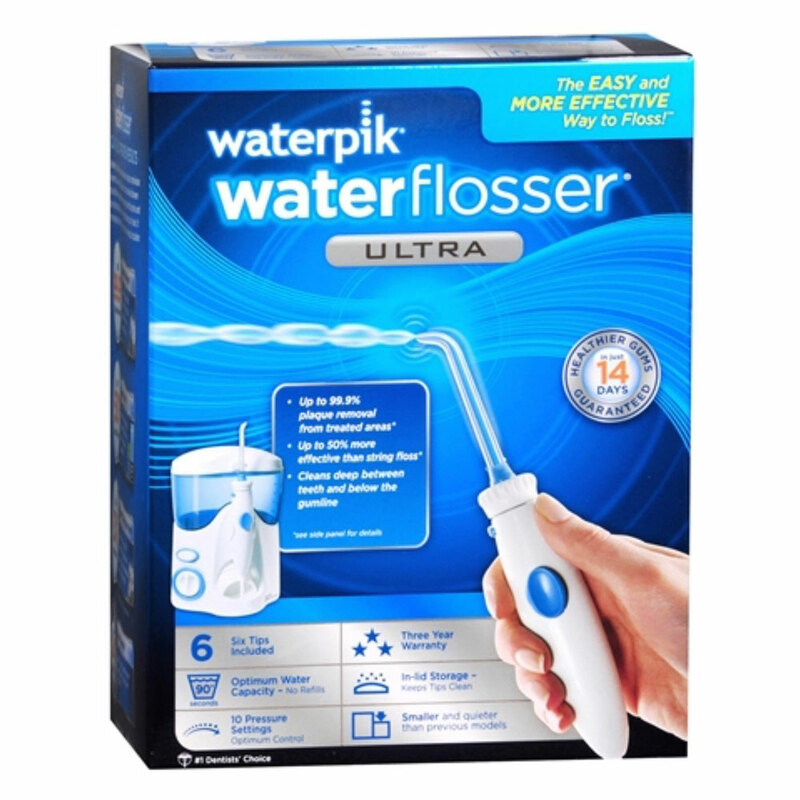 We also talked to a few dentists who told us that their patients reported using mouthwash on a regular basis with the Waterpik® Ultra Dental Water Jet (and these are people who were usually too lazy to use it by itself). That’s because this jet is fun. Genuinely fun. So fun in fact, that you will feel compelled to use it daily. And when you use it daily, your oral health will improve. It will improve so much that you will be impressed and your dentist will be impressed as well. Not getting one, and soon, would be a huge mistake. Healthier gums in just 14 days guaranteed. If after 14 days of daily use you are not completely satisfied that this product has reduced the symptoms associated with gingivitis (e.g., inflammation and bleeding of gums) return it for a full refund, no questions asked. product comes with a money-back guarantee, and is highly praised by our customers. However, we cannot hold the price this low after our inventory goes down. POOR customer service! I ordered more than $450 worth of brushes and waterpik over a week ago, but I havent received my order as yet. Worse, I have emailed the customer service twice, but I am yet to hear back from them.